In February, the Federal Trade Commission took a major step towards cracking down on fake reviews online. Cure Encapsulations Inc, a company selling weight-loss supplements on the Amazon Marketplace, was accused of paying a third-party website to leave fake customer reviews online. Cure Encapsulations is facing stiff penalties for their actions. As part of the settlement, the FTC imposed a judgment of $12.8 million on the company. Cure Encapsulations’ punishment goes further than just money. Cure Encapsulations is banned from making weight-loss claims about their food and drug products unless they have evidence from clinical trials. Of course, Cure Encapsulations cannot be singled out as a lone wolf. According to Forbes, lots of other companies resort to similar tactics. Not only do businesses post fake reviews on their own products, but they also flood their competitors with fake negative reviews in order to sully their reputation. Posting fake reviews affect the buying habits of the vast majority of customers. Studies show that 92% of customers consult online reviews before making a purchase decision. We’ll discuss what the implications of the FTC settlement are for businesses, how businesses should feel about the case, and how businesses can use fair play to get ahead in every industry. We couldn’t agree more. Genuine online reviews allow customers to make informed purchase decisions. Reviews work because when customers look at them, they know they are looking at the authentic experiences of real people. Genuine reviews help lay the building blocks of the trust economy. 92% of consumers consult reviews before making a purchase decision. Because customers trust reviews, they use reviews to find businesses they might want to purchase from. In an environment like the Amazon Marketplace, it becomes difficult for consumers to trust any seller. In a healthy marketplace, a five-star rating shows that customers highly value a product or service and would most likely recommend it to others. When the review system has been compromised, five stars don’t mean anything. When the trust economy is functioning properly, bad reviews can help businesses improve. Customer complaints can be used to help improve products. Fake reviews don’t only hurt customers, they prevent businesses from actually improving. Businesses paying for fake reviews might receive some benefits in the short term. Ultimately, they are hurting themselves and destroying the foundations of the trust economy. When customers don’t trust your reviews, they won’t trust your business either. Fake reviews create an environment where customers cannot rely on reviews as a form of social proof. Businesses will no longer be able to attract customers through reviews. In the long run, customers and businesses everywhere get hurt. The FTC’s settlement with Cure Encapsulations helps to reinforce the trust economy. If fake reviews are allowed to stand, then consumers lose their faith in reviews in general. Businesses will no longer be able to use customer reviews to show the strength of their services. It’s not just the FTC taking action. Review platforms have recognized the benefits of the trust economy and have taken steps to create a more authentic review environment. Recently, Google has done this by ending review gating and anonymous Google reviews. When actions are taken to create a healthy review ecosystem, it creates a more positive environment for customers and businesses alike. In the trust economy, businesses win by playing fair and listening to the voice of the customer. That doesn’t mean that there’s no way for businesses to get ahead in the trust economy. By playing by the rules and collecting lots of genuine customer feedback, businesses can drive growth and beat the competition. There are more steps you can take in order to make sure you’re turning your customers into your engine of growth. Let’s talk about three steps you can take to make sure that you’re business is winning in the trust economy. There’s an easy way you can get more customer reviews without having to resort to backhanded tactics. All you have to do is go to customers and ask. Research shows that 70% of customers are willing to leave a review if asked. By collecting genuine feedback, you’re going to get some negative reviews. That’s perfectly okay. According to the Spiegel Research Center, customers trust businesses with some negative reviews more than businesses with all positive reviews. Negative reviews show potential customers that your business’s feedback is genuine. To get the best results, you can send review request texts and emails to your customers that link directly to your business’s profile on review sites. This helps to make the process easy for the customer. All they have to do is click the link and leave a review. Before you start sending review requests, there are certain factors to consider. In order to get the best results, you need to send a review request on the same day as the sale. This isn’t easy. With all the work that goes into running a business, there’s rarely enough time to sit down and physically send an email or text to every customer that came to your store on a given day. Plus, it’s important to follow the guidelines of major review platforms and avoid review gating. 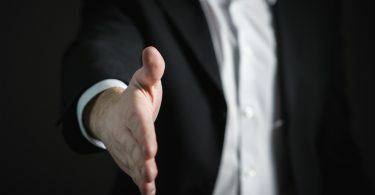 The rules of the trust economy make it so businesses must send review requests to all customers, not just a specific preselected group that might give positive reviews. It’s important to remember that quantity matters. Luckily, there’s an easier way to send out review requests. BirdEye integrates with your Customer Relationship Management system and automatically sends review requests to your customers. BirdEye has an official partnership of Google and we’ve made sure that our dashboard follows all of the companies policies. Once you have lots of customer reviews, you can show potential customers that your business consistently provides great service. Getting new reviews isn’t the end of the story. You can use these reviews as a tool to retain your existing customers. By responding to customer reviews, you can foster a genuine relationship with your customers and even change the perception of customers who had a negative experience. According to Bazaarvoice, 7 in 10 customers say that a brand’s response to a customer review helps them change their perception of a brand. 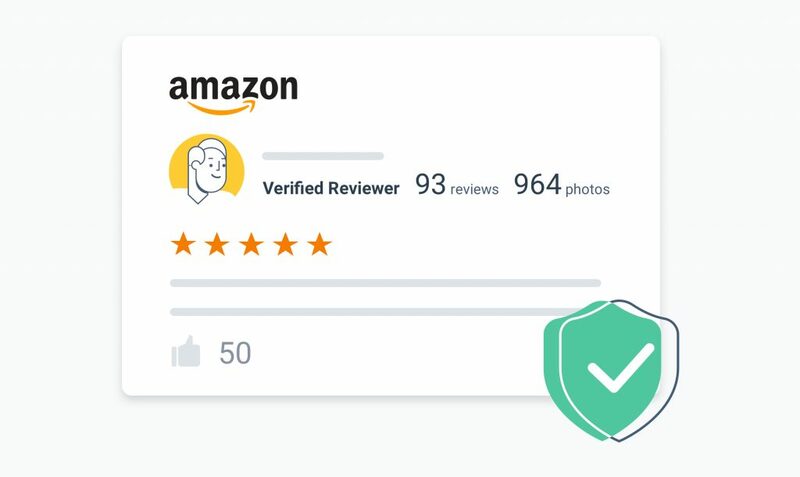 With BirdEye you can track reviews on over 150 review sites. You have the option to set notifications based on certain criteria, such as every time your business receives a 1-star review, so you can tackle the problem right away. Respond to both positive and negative reviews. Responding to positive reviews allows you to thank customers. Responding to negative reviews allows you to fix the problem that the customer experienced and turn their negative experience into a positive one. Remember, negative customer feedback isn’t something you should avoid. It’s an opportunity for your business to get better. Instead of trying to avoid negative reviews, use them as a learning experience. If a pizza restaurant’s customers are complaining about burnt chicken, the restaurant can make changes to their cooking process to avoid this problem. It can be tough to get insights from unstructured review data. After all, it’s not always apparent if you’re dealing with a customer with legitimate complaints or a chronic complainer. Manually looking at customer reviews might not give you the answers you’re looking for to improve your business. BirdEye gives you insights based on phrases that your customers are mentioning in reviews. When customers use words like “bad service” and “long wait time”, our Natural Language Processing system will show you immediately. You’ll be able to adjust your business operations when problems arise to turn every customer experience into a great one. But reviews aren’t the only place where customers are talking about your business. According to Internet Live Stats, there are around 6000 tweets every second. Some of these tweets might be customers talking about your business, but there’s so much noise that it’s almost impossible to find every relevant conversation manually. With BirdEye, you can also keep track of your business’s mentions across social media. With our social listening tool, you can be alerted right away when a customer mentions your business on platforms like Facebook and Twitter and respond right away. BirdEye helps businesses get ahead in the trust economy fair and square. BirdEye’s all-in-one dashboard helps businesses stay on top of all aspects of customer feedback. With BirdEye, you can send automatic review requests, respond and monitor to reviews on 150+ sites, and get insights based on customer feedback. Watch a demo to see why more than 50,000 businesses use BirdEye to get new customers and drive growth.